The hugely acclaimed novel of '70s football and the turmoil of the game's most charismatic and controversial manager, from the bestselling author of GB84 and Red or Dead. In 1974 the brilliant and controversial Brian Clough made perhaps his most eccentric decision: he accepted the position of Leeds United manager. A successor to Don Revie, his bitter adversary, Clough was to last just 44 days. In one of the most acclaimed British novels of recent years - subsequently made into a film starring Michael Sheen - David Peace takes us into the mind and thoughts of Ol' Big 'Ead himself, and brings vividly to life one of football's most complex and fascinating characters. 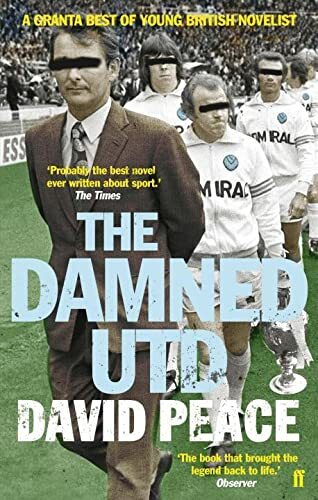 The Damned Utd, by David Peace, is the hugely acclaimed novel of 1970s football, and the turmoil of Brian Clough, the game's most charismatic and controversial manager.